More than 600 Maskcara distributors gathered at the Redrock Hotel in Las Vegas celebrating their community, enjoy product demos, listen to special guest speakers, and hear company updates. JN Agency was on site to supply the Shine Event Merchandise Store with products, apparel, and business tools– some of which developed exclusively for this VIP event. For top distributor brands like Maskcara, conferences like Shine, are essential to build community with their Independent Artists. The Maskcara events crew are a vivacious lot, and true partners with JN Agency, making the event a success! The JN Agency team developed conference branding and ambiance. But where our services truly shined, (see what we did there) was in the Maskcara Artist Merchandise Store, for which we produced branded aprons, T-shirts, tank tops, leggings, insulated bottles, and business tools such as rollup banners, table runners, business starter packs, and product catalogs. Products developed exclusively for Maskcara’s Shine Launch party conference by JN Agency. By allowing JN Agency to run the merchandise store end-to-end, the Maskcara team was able to focus on the event, and on educating and inspiring their Artists who, in turn, will return home and with renewed excitement to share Maskcara products with new customers. A win-win for everyone! At JN Agency, we are passionate about supporting Direct Sales company startups, and we were definitely feeling inspired by the energy of all of the Maskcara Artists. The company is led by founder Cara Brook (recently profiled in the New York Times) who generously shared in-depth product demos during the conference. Of course, conferences are just one aspect of what JN Agency offers for the Direct Selling industry. 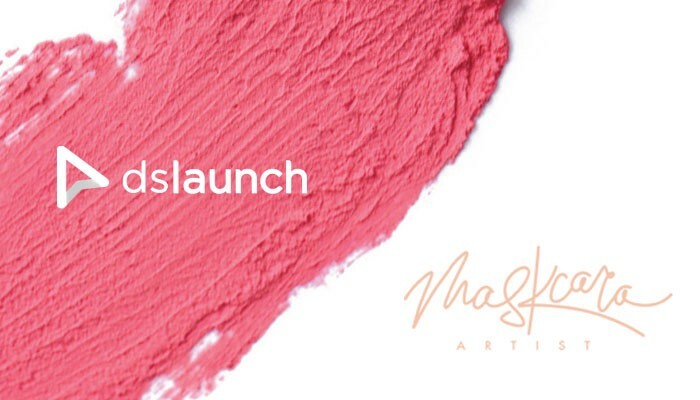 We’ve mentioned our partnership with Maskcara in a previous blog post and are proud to support their business through our DS Launch solution, which includes beautiful, just-in-time distributor kits and our branded e-commerce service where Maskcara Artists (maskcaraartists.com) can order all materials they need to be successful. JN Agency’s on-demand distributor kits and branded e-commerce store offer Maskcara a seamless, scale-able solution to deliver exquisitely designed and cost-effective marketing materials faithful to Maskcara’s brand standards and customer experience. DS Launch is the premier solution for startups in the Direct Sales industry by JN Agency. We provide the essential branded products and services that help your distributors find success. We offer stunning just-in-time distributor kits, fully-managed profit-sharing eStores, seamless shipping and 38 years of experience to offer personalized guidance to direct selling industry startups and veterans alike. Learn more about our services at dslaunch.com.